Orders for in-stock merchandise received by 2pm MT will ship the same business day! This shoe is a closed heel leather clog providing superior support while allowing the seamless heel counter to move freely as you walk. The Dansko Professional comes in multiple colors because Dansko knows you'll want a second pair to match that new Canyon Outback handbag. These darling shoes are perfect for the office or weekend adventures searching for denim jeans that actually fit. *The color shown in this video may no longer be available. Over 350,000 Danish immigrated to America in the late 19th century. Thanks to them our morning coffee and Danish sweet rolls have become an American tradition. 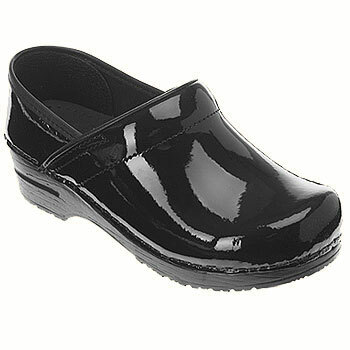 The good folks from Denmark have also inspired millions of Americans to wear stylish high quality Dansko footwear. Dansko shoes are designed to protect your feet, legs and back from fatigue and promote circulation. Don't just take our word for it. The American Podiatric Medical Association (really smart foot doctors) thought so too and awarded Dansko their coveted Seal of Acceptance. Dodds Shoe Co.4th generation footwear retailers since 1932. Located in the heart of the Rocky Mountains in Laramie, Wyoming.